Salivary Hormone testing helps identify various hormonal imbalances which may be causing your symptom picture. Results obtained from the test may direct further investigation as to the cause of the imbalances and also allows for individualized treatment protocols. The Adrenal Hormone Profile is a non-invasive saliva test which monitors the levels of the stress hormones Cortisol and DHEA-S, over the course of a day. This is an important test to determine adrenal function in patients presenting with symptoms such as anxiety, depression, mood swings, insomnia, headaches, low energy, stress, hormonal imbalance and poor immune function. Melatonin is a neuropeptide predominantly produced by the pineal gland. Melatonin is secreted in a distinct circadian rhythm – stimulated by darkness, inhibited by light and independent of sleep. The phase of the circadian rhythm is influenced by day length (increasing in amplitude in the winter and decreasing in spring) or artificial light. The levels of melatonin in the body tend to decrease with age and low levels may result in sleep disturbances such as insomnia, poor immune function, depression and other mood disorders. This test provides valuable information on an individual’s hormonal status and the potential impact this may have on physical and emotional health. Hormonal imbalance may result in a symptom picture which includes weight gain, mood swings, night sweats, disturbed sleep pattern, loss of libido and hot flushes. 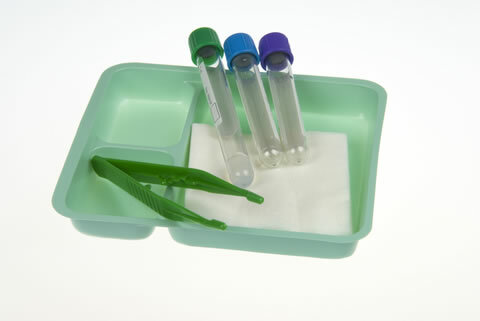 After obtaining a Salivary Hormone Test request form from your practitioner, the laboratory will mail you the required test kit. All you have to do is collect your saliva at specific times as indicated for the requested test, then simply mail your saliva specimen to the test laboratory. Laboratory results are returned to the requesting practitioner, so that they can be discussed in consultation as part of your complete wellness overview. Contact Dr Sonja to talk about how the Salivary Hormone Test can be beneficial to your health and well being. Phone 0434 726 2141 or send an email.